This article presents parallel implementations of the Mass Approximation Distance Algorithm for self-gravity calculation on Xeon Phi. The proposed method is relevant for performing simulations on realistic systems modeling small astronomical bodies, which are agglomerates of thousand/million of particles. Specific strategies and optimizations are described for execution on the Xeon Phi architecture. 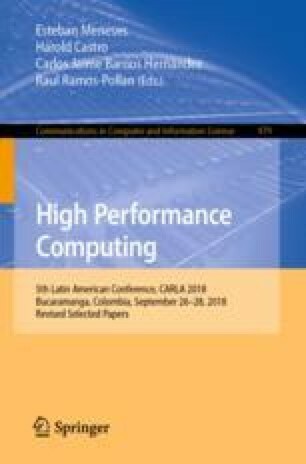 The experimental analysis evaluates the computational efficiency of the proposed implementations on realistic scenarios, reporting the best options for the implementation. Specific performance improvements of up to 146.4\(\times \) are reported for scenarios with more than one million particles.